Perlmutt, the utmost marvel of nature is today and since ages appraised for its bewitching jewel pieces. Nacre has been yearning for thousands of years by the jewelry lovers, so too regarded as “Queen of Gems”. In fact, earlier than the written history these pearls are held dear by the different mores. Thus, Perlmutt is contemplated as the world’s oldest as well as most loved gems. 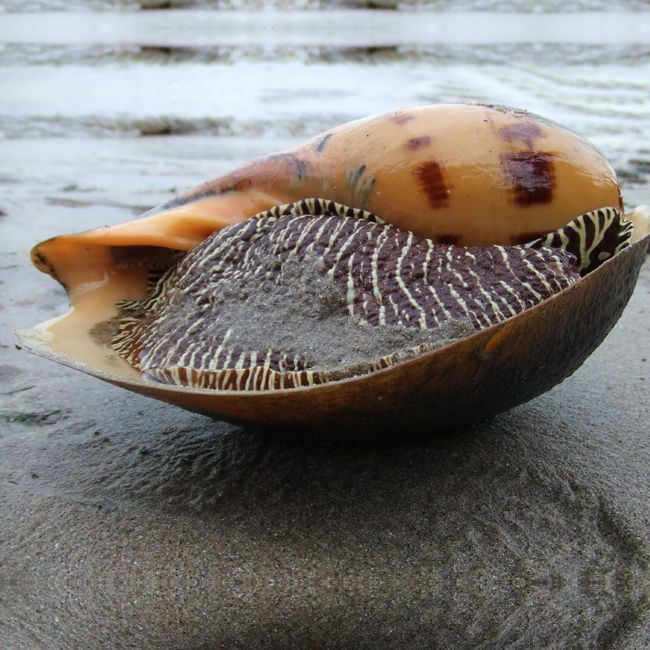 The attribution of uncovering the true gift of nature, pearl cannot be given to anyone as the ancestors come across them while searching for food nearby the seashore. The disintegration of the oldest pearl jewelry, now put on show at the Louvre Museum in Paris, was found in the Sarkophag of a Persian princess. She died in 520 Before Christ. In the Chinese culture, Pearls were bestowed as a gift to Chinese royalty before 2300 Before Christ. 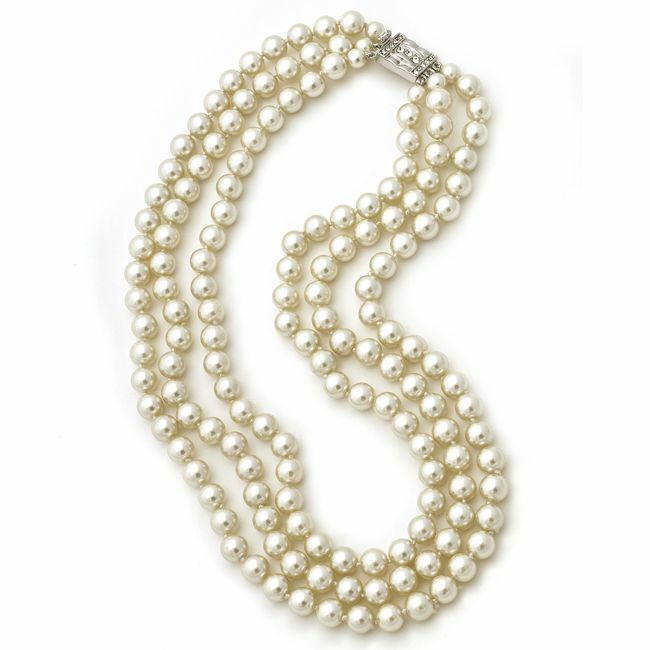 In the history of Rome, Pearls were too speculates as the status symbol. Julius Caesar in the 1st century BC passed a law that the beautiful and luxurious pearls were to be worn by the ruling class only. In the Persian Gulf, the beds of oyster are in abundance, so they too gain preeminence in the Arab Cultures. It was stated in the history that the fabrication of pearls was a complex process, as they were formed from dewdrops that were ingested by oysters when the droplets fell into the sea. The trading center of the pearl before its culture started was the Persian Gulf, moreover the main source of wealth in the Gulf regions. The protracted history of the pearls makes them valuable, but too enshrouds them in the myth of their formation. 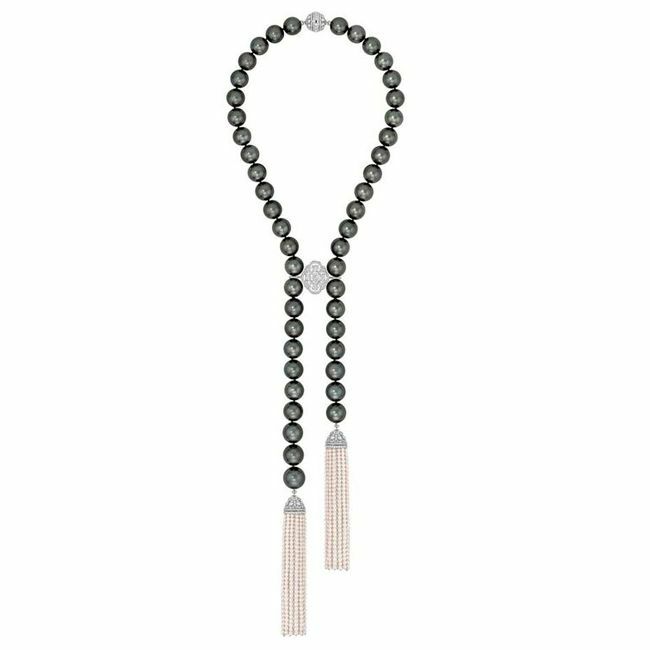 In the ancient tradition of China, pearls were considered as a symbol of purity, so folks wore them to clean their impure soul that has committed a lot of misdeeds. Even in the dark ages (Middle Ages), cavalier often wore pearls during battles, as they deem that this mesmerizing nugget would keep them protected. In the Mythos, it was illustrated that Cleopatra, VII Philopator of Ptolemaic Egypt crushed the pearl into the wine glass of Marc Antony. She did this to prove that she holds the capability to throw the most expensive dinner party in history. 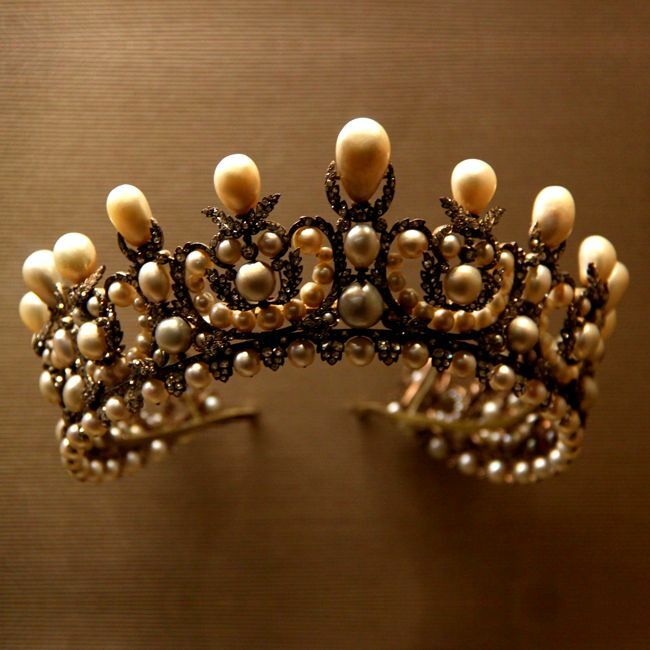 Pearls are among the imperative article of trade since Roman times. But with the discovery of pearl in Central in addition to South America brings a new era in the world of jewels. 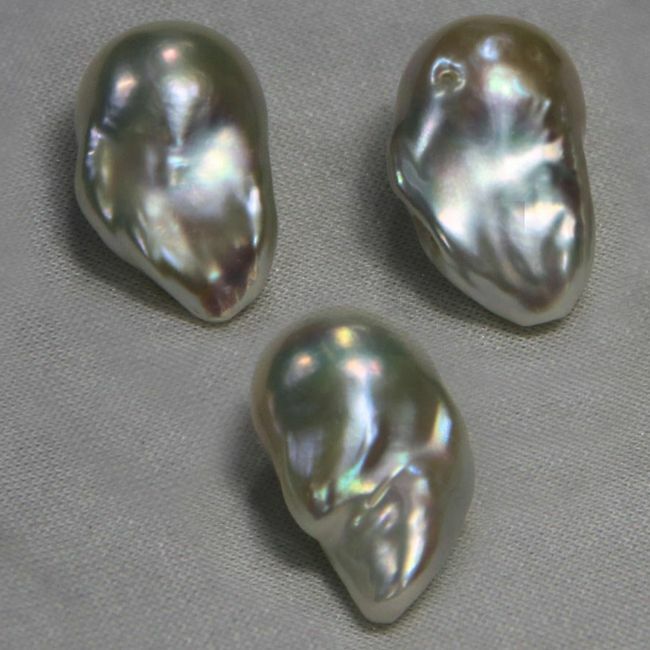 They came into existence in the 15th and 16th century, these two centuries speculates as Pearl age. The demand for pearls in Western Europe sores up, as ladies of high society show their keen interest in the pearl jewelry. Further, the demand for pearls increases until the end of the 19th century. The supply of the pearls began to drop due to a shortage of oyster, a living organism that produces a pearl. The formation of pearls is like a twist of fate, as their subsistence is a fluke of Mother Nature. The charismatic pearls are formed when the piece of shell gets lodged in the soft body of the oyster due to unusual circumstances. This cause the sea creature, oyster to form a crystalline matter Perlmutt or nacre. Further, this crystalline matter builds up around the irritant in layers in layers till the time a pearl is formed. Cultured pearls are fashioned through the same procedure, the sole deviation being that the irritant is implanted in the oyster rather than going into it by luck. Until the beginning of the 20th century, the pearls were collected by the sea divers who dive deep to extract the pearl oysters. Among thousands of oysters, only three or four quality pearls were collected. Simply, if we speak about the freshwater oysters, their pearls were only for the royal family, as the harvesting of those mollusks was reserved for royalty or high-rank people. In today’s era, natural pearls are hard to get, as they are rare and on the odd occasion found in the seas of Australia. Natural pearls too extract out from the bed of Bahrain "two seas". The rarity of natural pearls raises their prices and can easily be seen in the auction of antique pearl neck pieces, earrings moreover other ornaments. 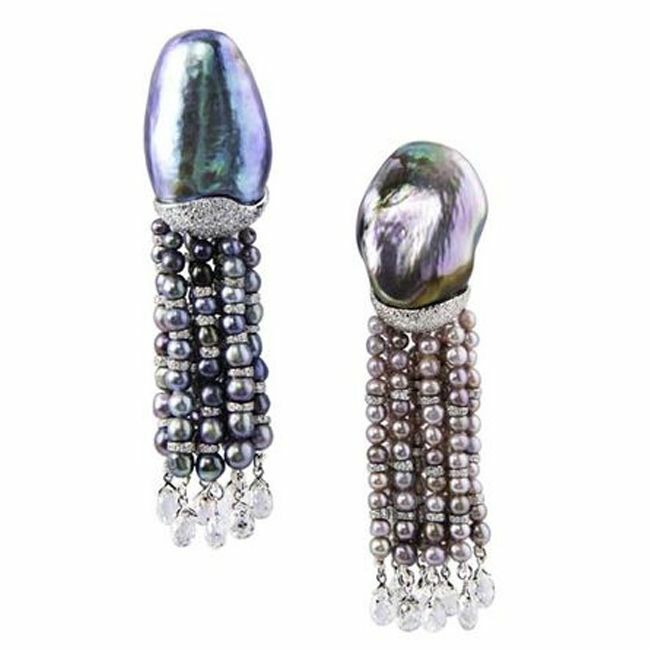 In the auction held in Doyle New York, earrings made up of natural pearls were showcased; the earrings belong to the empress of France, Eugenie. In an auction, they set a fresh world record, as were sold for US$3.3 million. 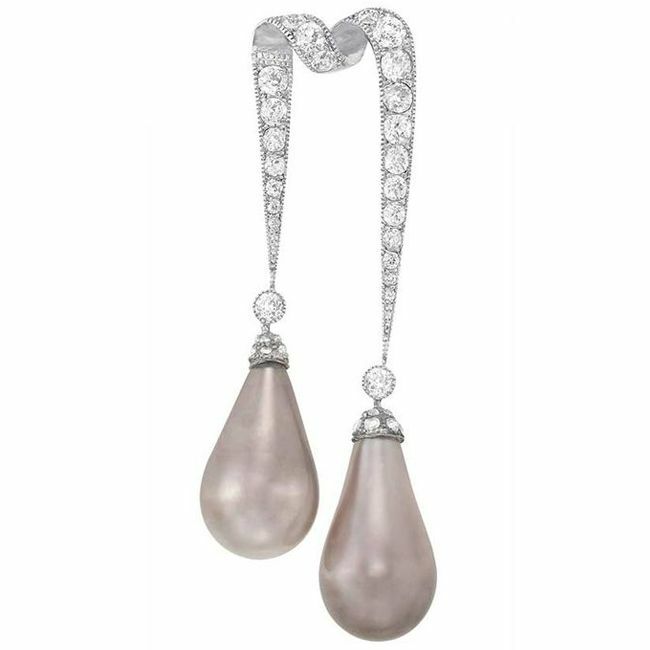 Natural pearls due to their rarity always cost’s high, in fact, the bid too run into several million dollars. 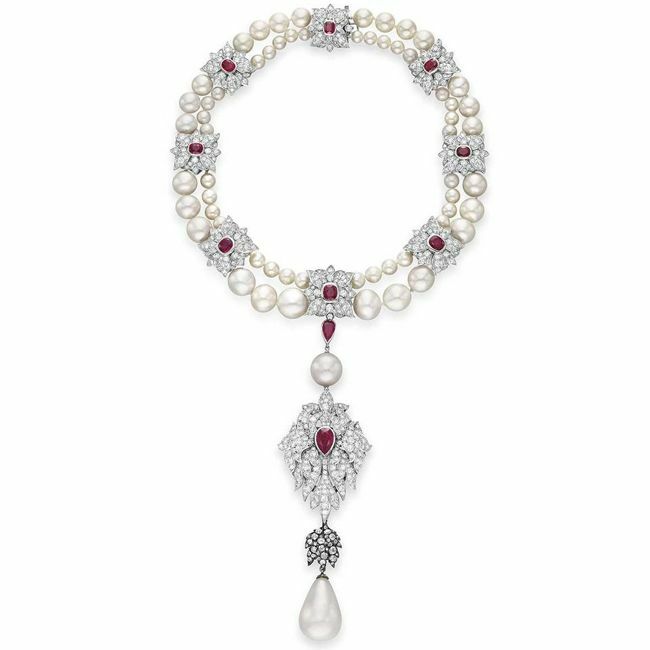 British-American actress, Elizabeth Taylor's famous La Peregrina (a 16th-century pearl) necklace was sold for 11.8 million US$. 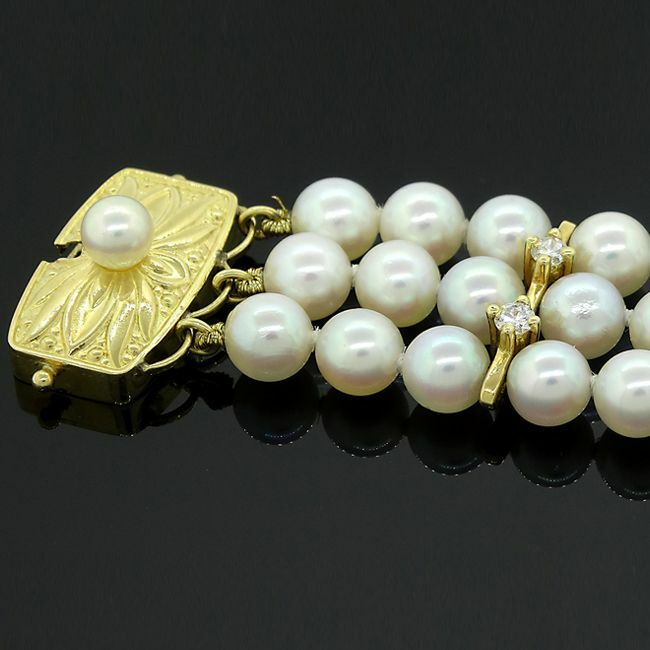 This sale was the perfect example of pearl craze among jewelry lovers along with the price. Natural pearls are formed under natural circumstances, whereas the pearls used today by all in the day to day life have been cultivated and farmed in a man-made environment. Kokichi Mikimoto, a Japanese entrepreneur, was accredited for creating the world's first cultured pearl in 1893. 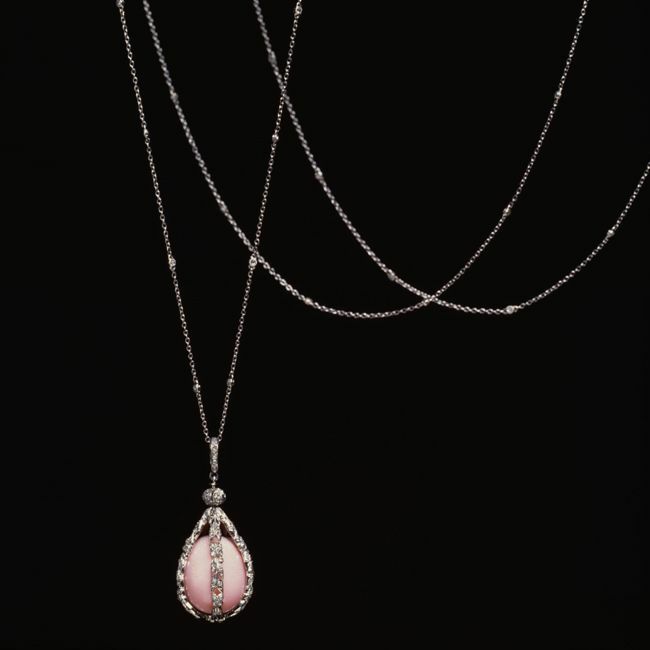 Further, Mikimoto established his company in which pearls were cultured artificially to trade out. 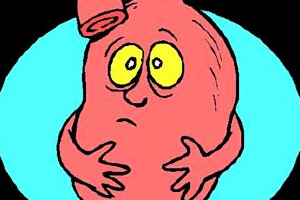 He introduces an irritant into an oyster by hand to excite it to produce a pearl. 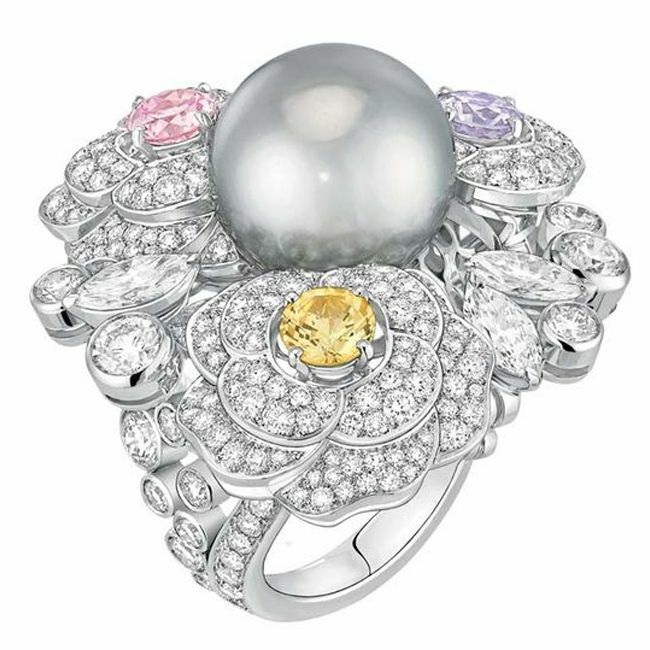 This creation turns out to be a revolution in the industry of gems, especially pearl industry in the early 1900’s. Artificially created pearls furthermore raise the value of natural pearls, as of the year 1935 there were 350 companies or pearl farms that were mass-producing around 10 million cultured pearls per year. 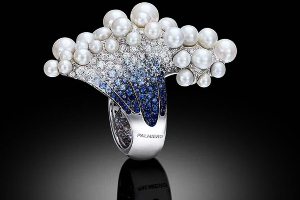 Scientists hold the scientific evidence that makes the whole difference between natural pearls and artificial pearls. 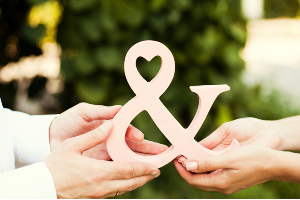 According to them the path of both the pearls is same as the process is same the only distinction is that artificial pearls need a supporting hand to get the natural process started. 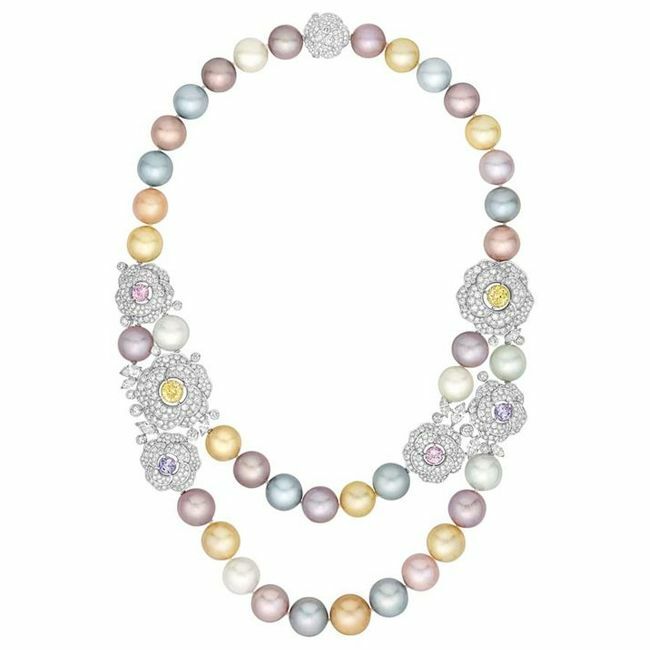 Akoya pearls, a vivid creation of Mikimoto’s farm or luxury house are used largely by the jewelry houses today. 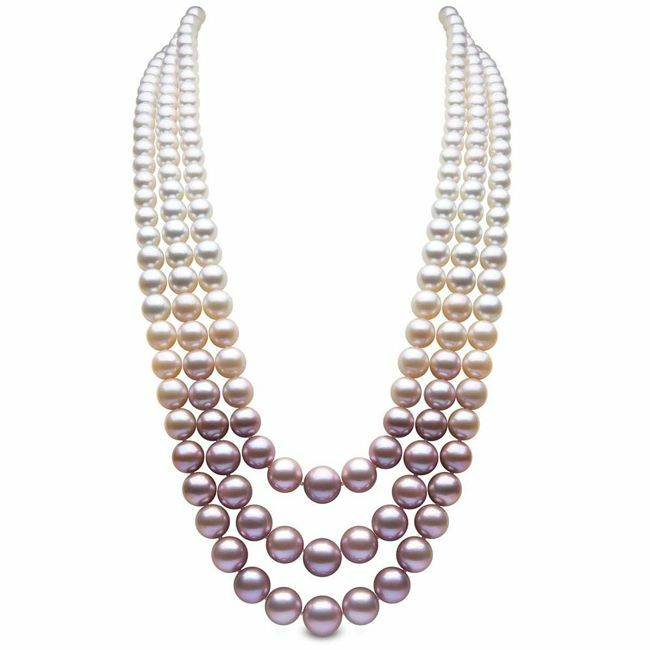 Akoya pearls are noted for their dazzling luster along with mesmerizing hues. The range may vary from white to creamy white and from soft pink to shiny pink. 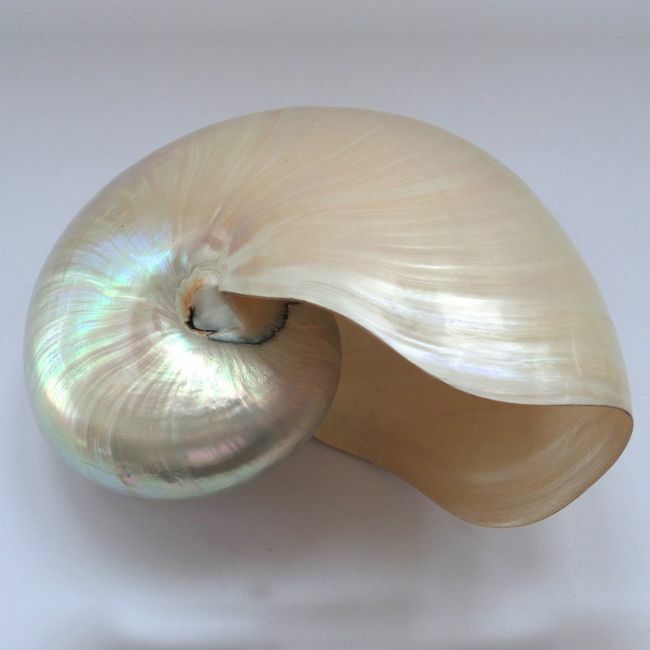 The quality of pearls depends on the mollusk from which they are originated along with their cultivation environment, like freshwater or saltwater. Freshwater pearls are cultured in China basically and due to their profusion they are easily procurable. The cost of freshwater pearls is less than saltwater pearls, as saltwater pearls are scarce in nature. As compared to saltwater pearls, freshwater pearls are affordable too. 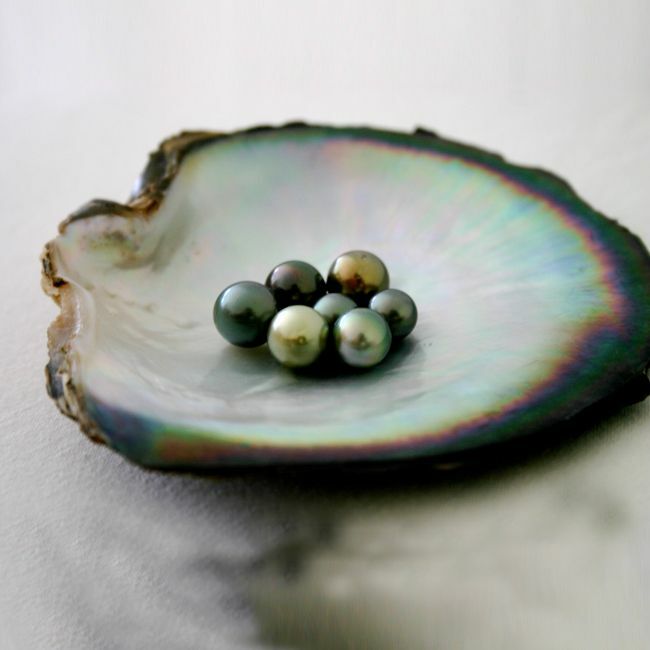 The pearls of salt water are recognized by their rich categories, like Akoya and Tahitian pearls. Pearls from the geographic region of the Pacific, often identified as South Sea pearls came from the seas of Australia, Indonesia as well as the Philippines. These pearls may vary in size and color due to differences in environmental factor and cultivation. The tints may vary from white to cream or to golden, and size may range from 9mm to 20 mm. 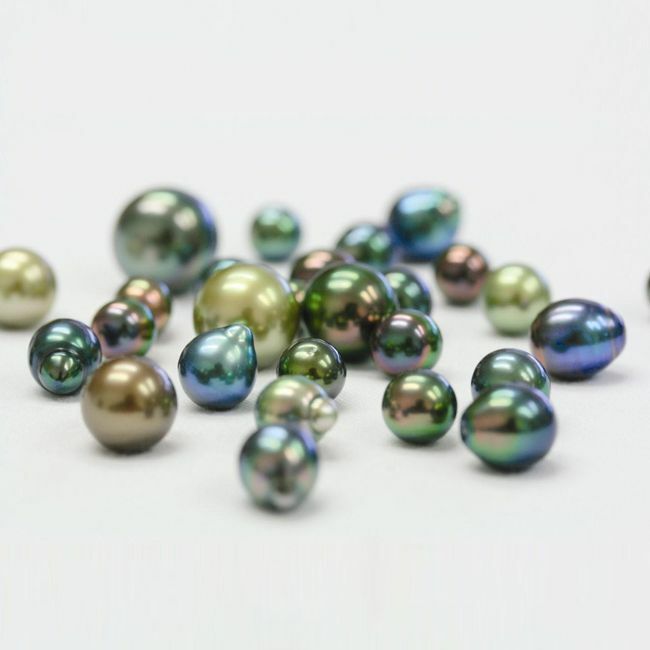 A Tahitian pearl further acknowledged as a black pearl too shows a variation in their hues and may vary from gray to blue to green and then to purple. 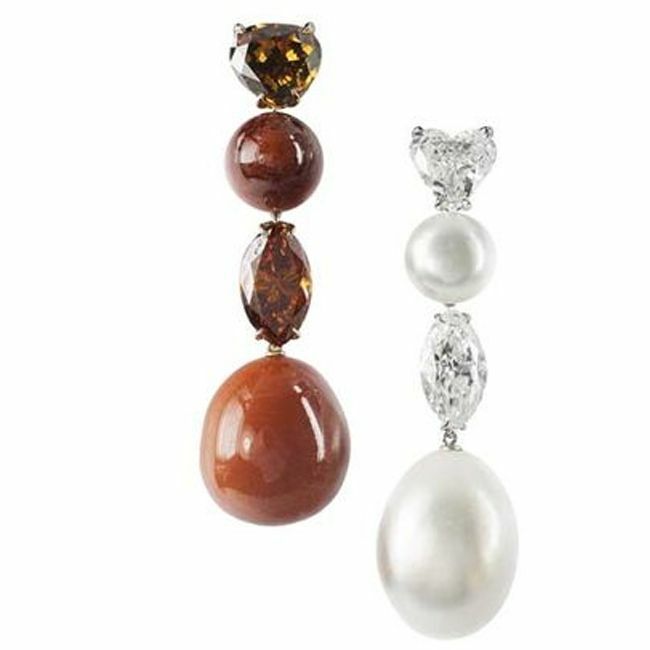 Fashion conscious jewelry lovers treat pearls as a rich and elegant option to any other gemstone. But if asked to select from the variety of pearls then Tahitian pearls are the best option to the white pearls. White, no doubt are traditional, and their demand will never fade away, but in show business black has its upper hand. Freshwater pearls are asymmetrical, lopsided so they these sorts of pearls are given a name “Baroque". 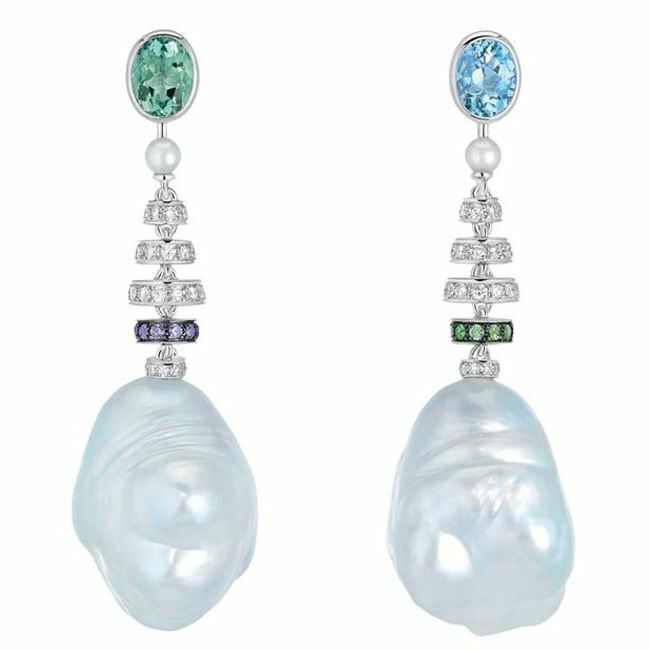 Jewelry lovers have a yen for flawlessly round pearls for traditions, but baroque South Sea along with Tahitian pearls are assessed uniquely. 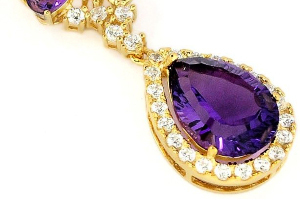 So in contemporary jewelry holds both of these varieties hold their exceptional charm and essence. Oysters simply create pearls, but other mollusks, like Queen Conch and melo melo sea snail create some other gems that are carroty-yellow oval shaped. They too are rare and meet the criteria to be known as Pearls. They are made up of non-nacreous calcium carbonate, so their attractiveness speculates no less extravagant. Conch pearls cannot be cannot be cultured or cultivated by man and are rare and found in every 10,000 Queen conch. 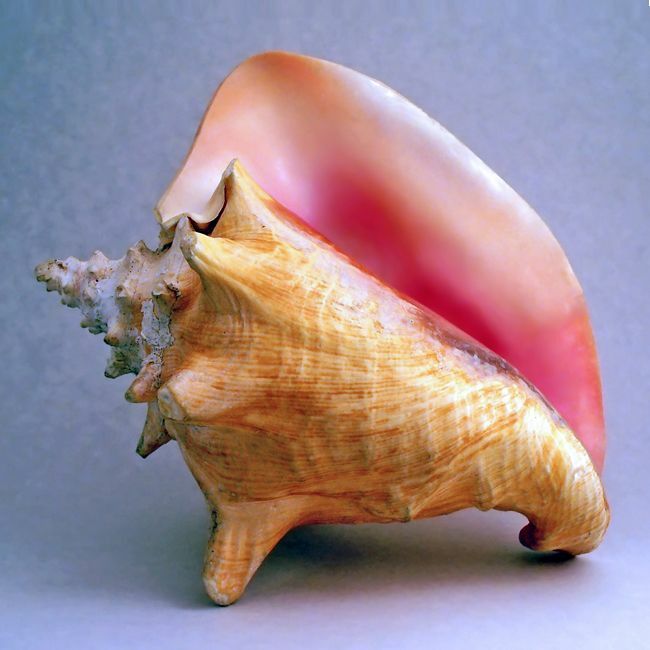 Queen conch is a mollusk and produces a conch pearl that may range from a hue of yellow to deep red, but the pearl with the pink glow is most desirable. The rarity of conch pearls too makes them extremely precious, as these pearls can bring US$120,000 in a pocket of a jeweler. 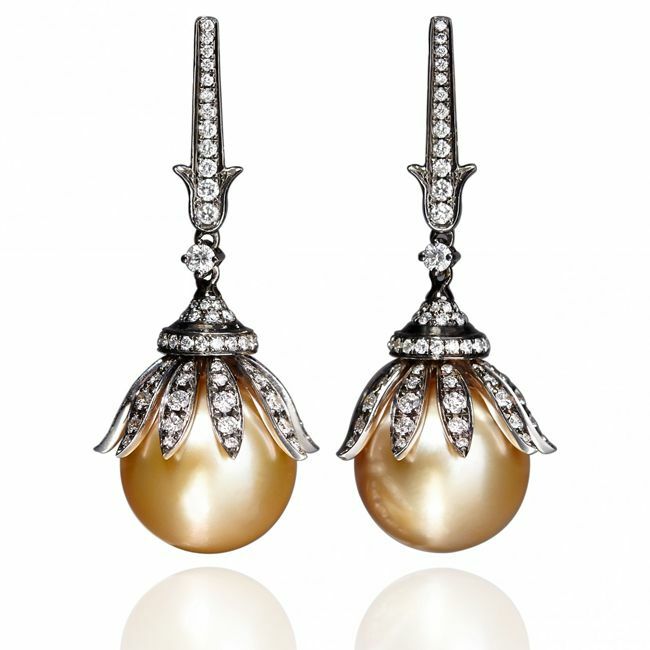 Mikimoto in its new jewelry collection launches conch pearl jewelry. 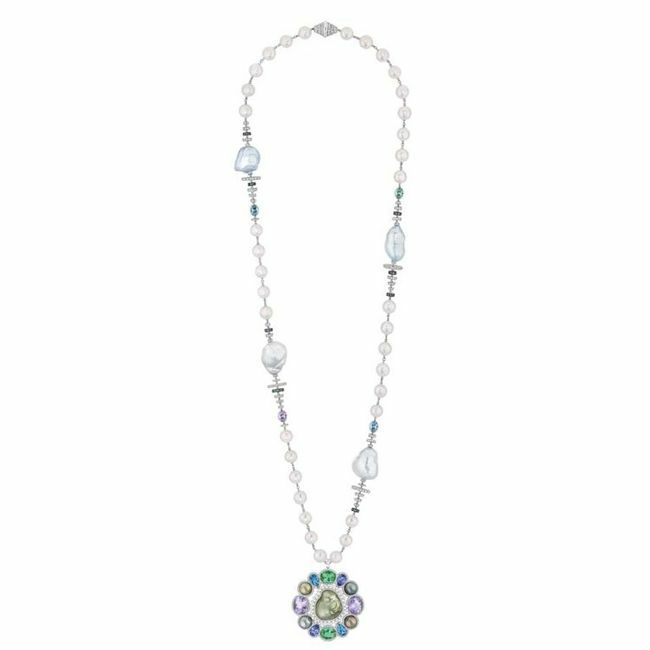 The pattern and designs got inspired by the jewelry of Boucheron as well as Tiffany & Co.
Conch pearls are incredibly attractive and are grounded in coastal waters. 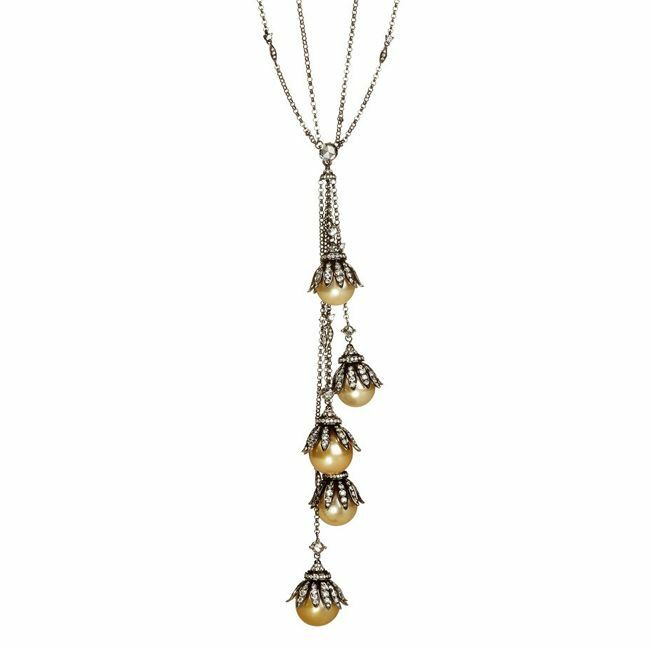 In the 1920s, Pearls were worn in a single strand or simple strands, as a neck piece reveals the fashion with no fancies. This form of necklaces is identified as sautoirs. 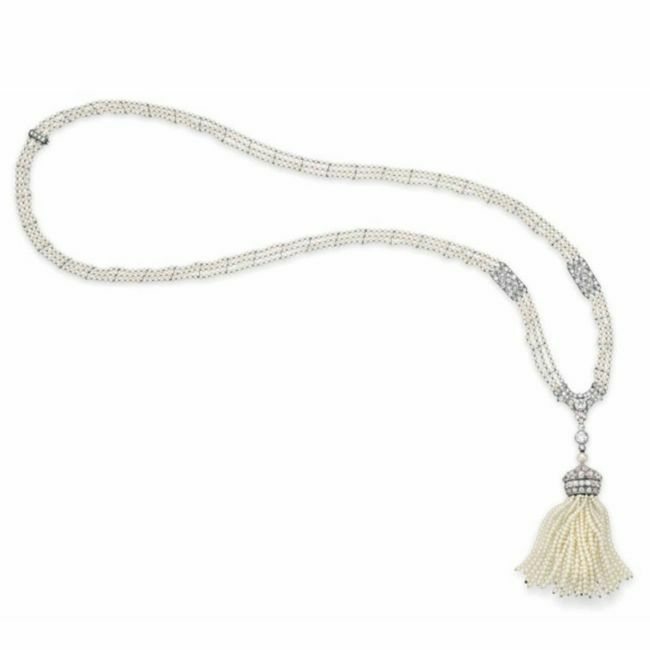 These extended neck pieces often measure more than 30 inches decorated with a tassel as a pendant. Coco Chanel changes the style statement as well as renovating the trend of using pearls. She mix and match the pearls with casual wear. Her endorsement gains the acknowledgment of the ladies, so the costume jewelry gains public acceptance. Now the women of that era wish to wear imitation pearl jewelry that is made up of glass. 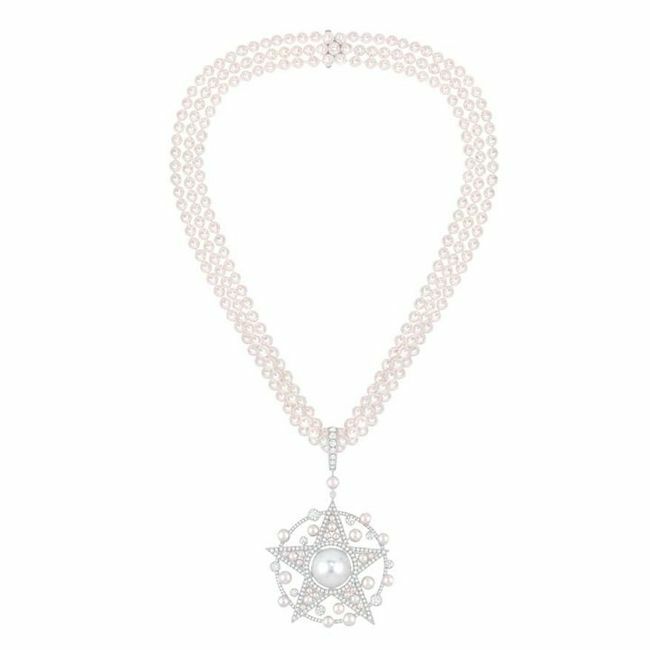 Coco Chanel gets inspired by a fashion magazine, Mademoiselle and in the year 2014 launches a deluxe jewelry collection fabricated with Pearls. She in her collection “Perles Swing” uses the beauty of pearls in the bracelet, necklace as well as earrings. 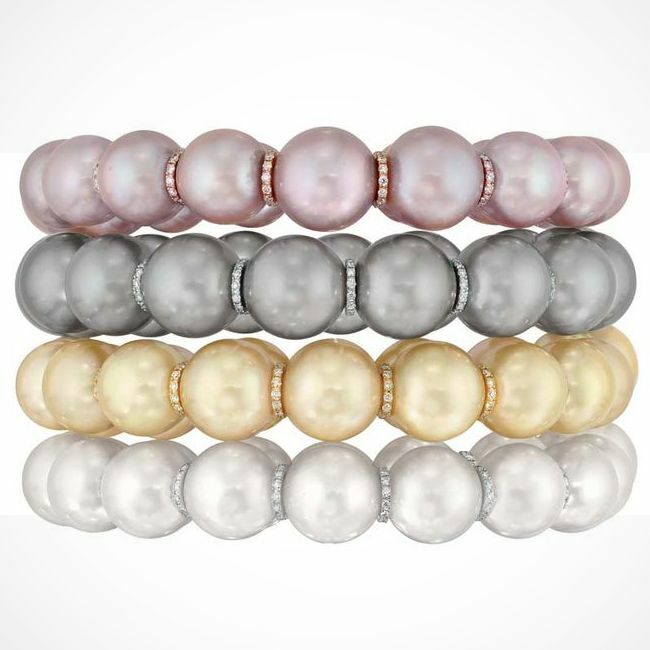 She uses a graceful grouping South Sea pearl of pastel colors along with Tahitian and freshwater cultured pearls. Jacqueline Kennedy Onassis, a former first lady of the United States, is another pearl-wearing icon. 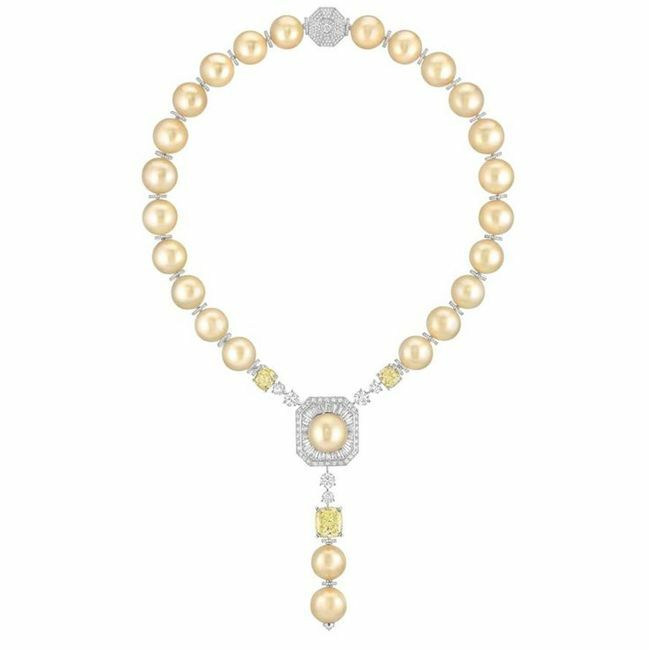 Her signature jewel, a triple strand pearl necklace is made up imitation pearls carved out from the glass. The British actress, Audrey Hepburn too showcases her love for pearls by either wearing earrings or a necklace. In 1980’s or around that time the repute of pearls was limited to the old ladies, as they prefer to wear with their twin sets. But now Pearl once again catches the attention of ladies of all ages and is employed as a fashion statement. 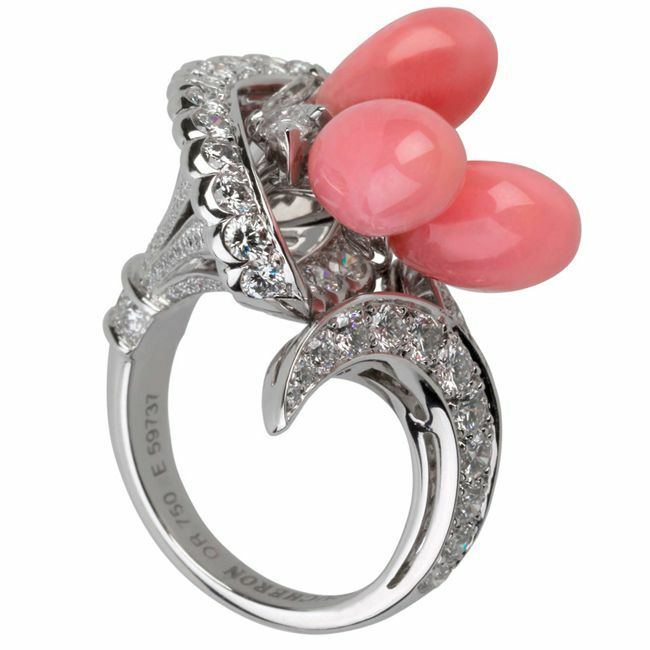 Today top jewelry houses are notably marking the pearls in their exclusive jewelry collections. 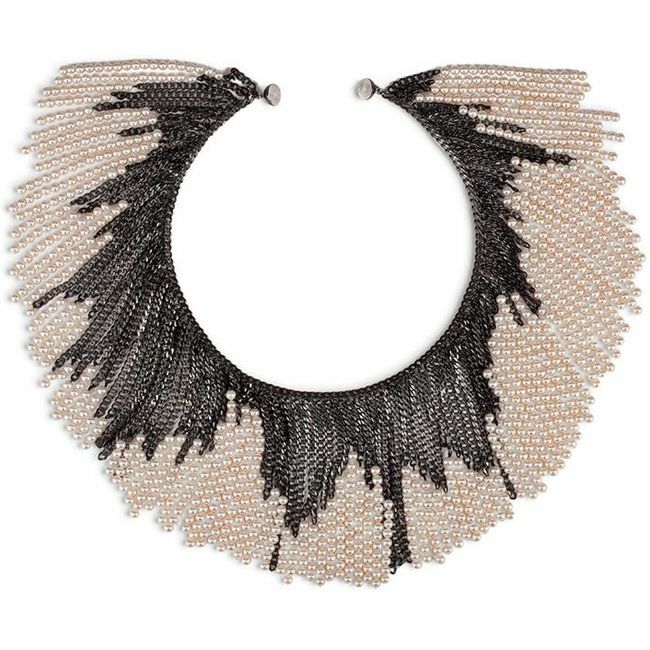 London-based Greek/French designer, Melanie Georgacopoulos too integrates pearls into his contemporary jewelry designs. 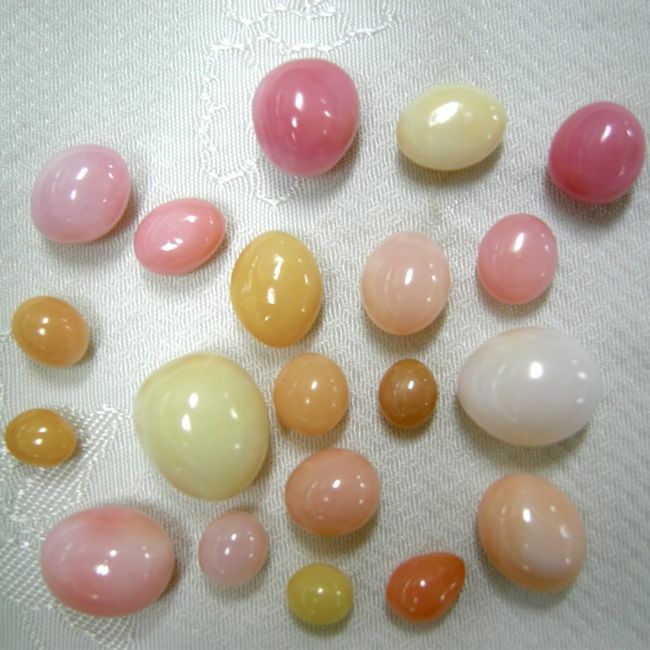 The eminence moreover the quality of the pearl is influenced by different criteria, like dimension, form, color and luster. The significant feature that needs to be looked upon is the thickness of the Perlmutt. The thickness helps to measure the luster of the pearl as well as how long will it last. 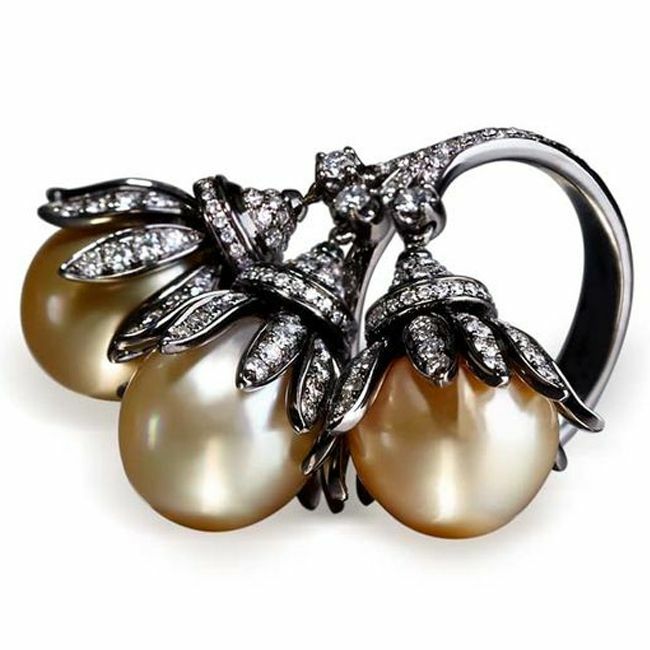 In the past pearls were noted for their standardization in dimension, form, color and luster, but in todays’ world the pioneering and innovative designs of pearls are appraised. 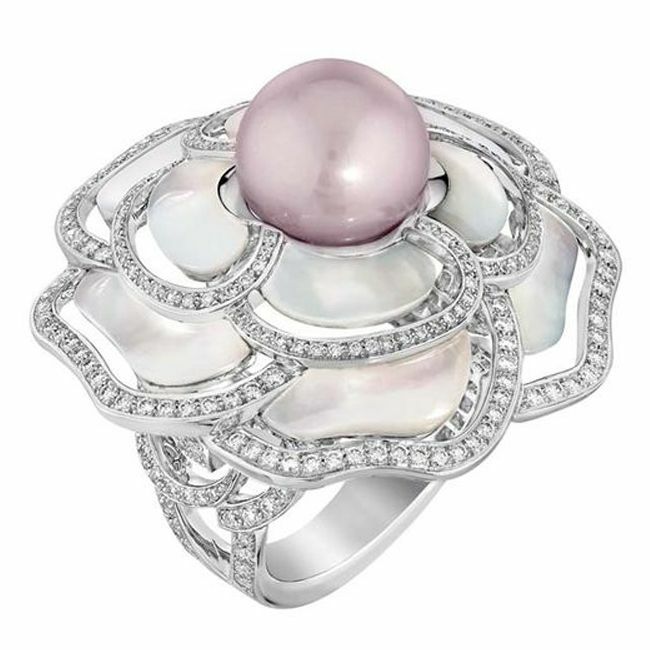 Bogh-Art and Hemmerle, are the two luxury houses that are renowned for their prominent pearl embedded designs. 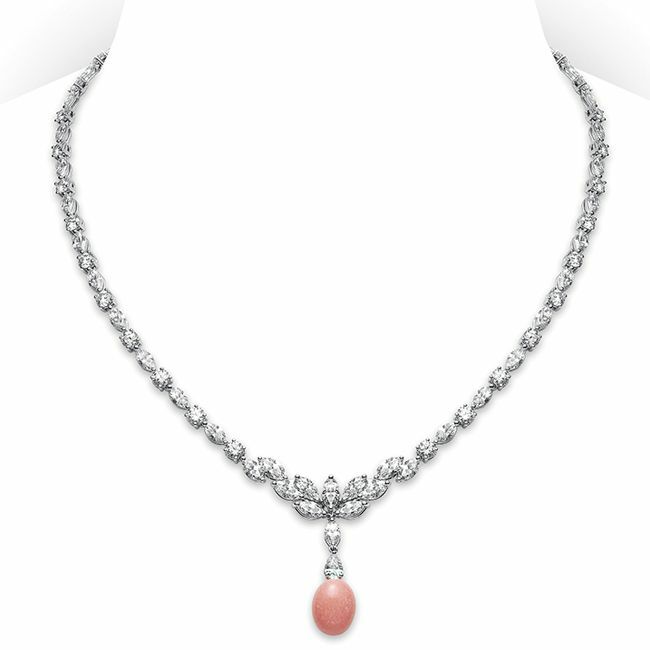 The vibrant colors and peculiar forms of pearls inspire them to fabricate pearls into a breathtaking design. YOKO London too showcases their beautifully designed white pearl studs to enhance the beauty and elegance of the ladies. 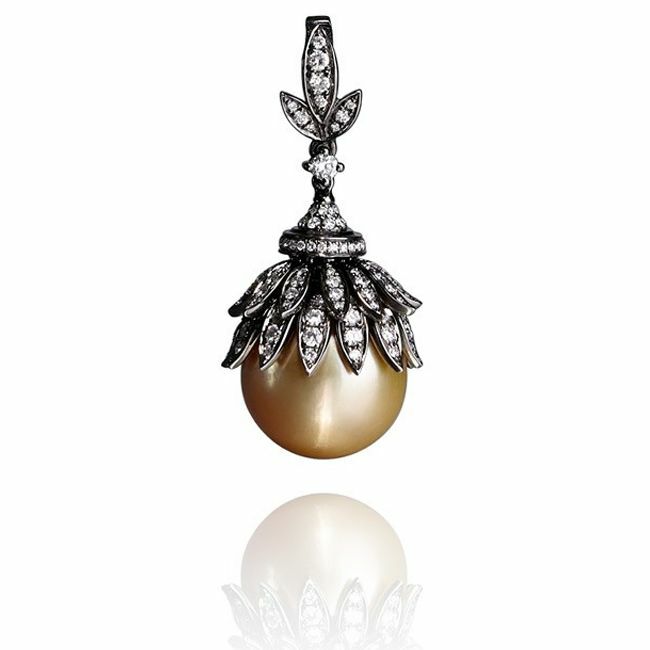 Golden Pearls collection of Annoushka exclusively launches her collecion at Harrods. This year Annoushka completes her aspiring 25 years as a jewelry designer, so on that occasion the collection was launched. Iloilo was the place from where she started her career in jewelry designing. The Art Deco theme inspired the collection, so the art was seen in a necklace, pendants as well as earrings. 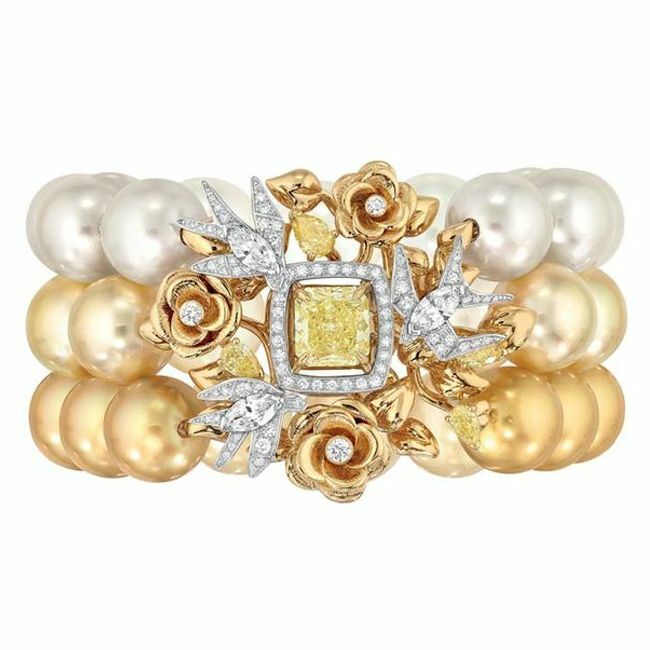 In fact, the cocktail pearl ring too exhibits the rare beauty of rare South Sea pearls of golden luster. 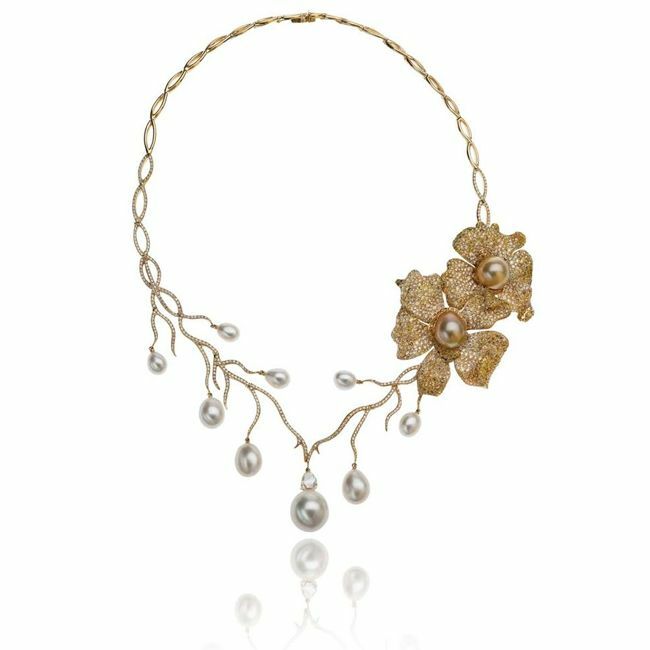 Autore, an Australian pearl company at this year’s Baselworld, launches the Orchid collection that is highly inspired by the indigenous blooms of Australia. 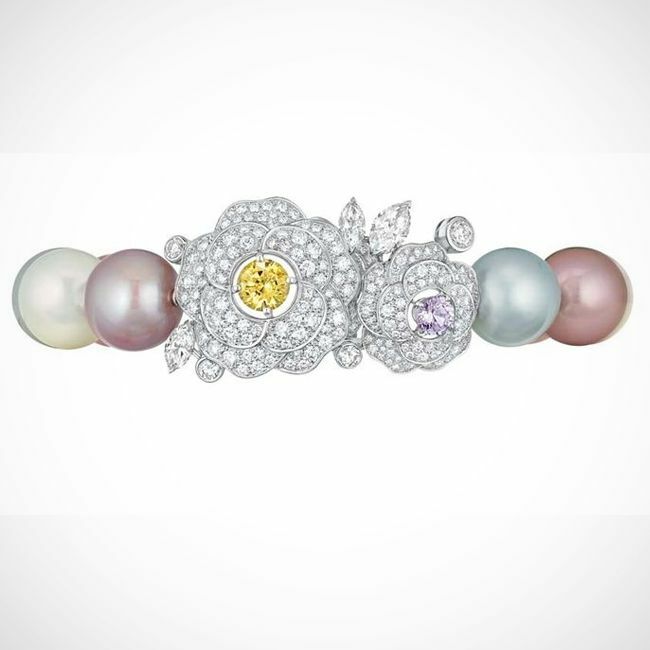 The splendid collection of South Sea pearls beats into the shape of flowers to pool with the color gems. 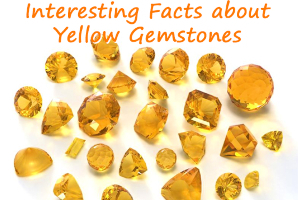 All the gemstones are extracted from the sea coast of Australia. Gemstones are the treasure of the sea; they are fashioned in a twiddled strand of Tahitian pearls to grandiose the baroque pearls. This innovative style forms the breathtaking jewelry boxes of the 21 c.